As a movie theater manager, you know that your customers want carpeting. They need the traction when coming in and the soft feel under their feet. Unfortunately, they also want butter, popcorn, chocolate candy and sodas. But what if they spill something? Good news! You can keep your carpets looking incredible with Green Steam Carpet Cleaners’s professional help. After your team sweeps up the popcorn and cleans the area, you realize that it’s not enough to really clean the floor. Even if your employees scrubs the carpets and steam the butter off the tile floors, you know they don’t have the training or tools to effectively address this tough mess. Green Steam Carpet Cleaners offers affordable and effective services you can trust. We can remove stains from the carpets and get the sticky feeling off the floor, without breaking your budget. The only way to successfully clean your movie theater carpet is with the proper tools and chemicals. If you apply the wrong chemical, it will leave residue in the carpet, which leads to rapid resoiling. Once the carpets has been restored by power brush agitation and hot water extraction, an encapsulation system can be incorporated on a monthly basis. This interim cleaning method can save the budget and keep the carpet in a continuous high state of appearance. You won’t be disappointed when you trust the team at Green Steam Carpet Cleaners. Let us remove the marks left by sodas, popcorn and butter with our stay beautiful program. Call us now for a free estimate. We offer appointments that suit your business. 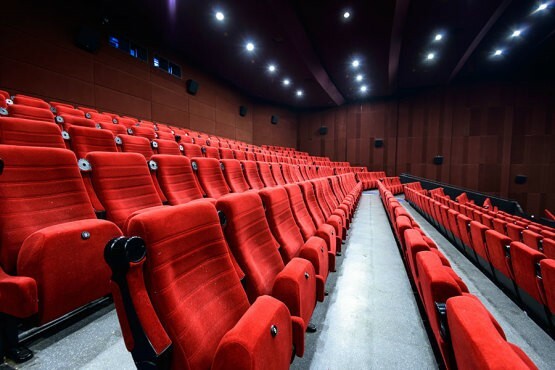 When we do the job, the carpet will look great for your customers and their shoes won’t stick to the floor, plus the residual popcorn, butter, candy and chocolate residue will be removed. Before the customers arrive for the matinee, you can have the stains removed and floors cleaned.